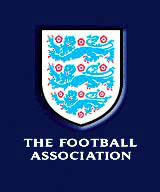 The Football Association is reviewing its corporate identity as part of a raft of design activity. It is understood to have approached several consultancies, including Design Bridge and Elmwood, both of which deny working on the project. Interbrand Newell & Sorrell is also thought to have been approached. No one was available to comment as Design Week went to press. The FA is one year into a three-year strategy, which includes generating a new set of corporate values that it is anxious to communicate to the public. An FA spokeswoman says, “We now have a clear idea of where we are going.” However, she maintains that it has no plans to change its logo. High up on the FA’s list of off-the-field priorities is the way it presents itself. It has strengthened its management team to increase its commercial focus, appointing marketing director Paul Butler, who will be driving the body in new directions. A number of consultancies, such as Design Bridge, Elmwood and EHS Realtime, are working with the FA on sub-brands. Following a competitive pitch EHS Realtime has been appointed as strategic consultancy to work on the relaunch of the England Supporters Club. The consultancy is compiling a feasibility study and business plan to present to the FA board, headed by chief executive Adam Crozier, in February. Recent activity has seen the FA move to new premises in London’s Soho last November, a restructuring of all its departments and the creation of The Football Foundation, a part-Government initiative launched last year and branded by INS. In addition, the FA expects a financial surplus of £100m in the next couple of years, a significant leap from its current financial status.